PAX Aus 2014 Day 1: Sailor Men of The World Unite! Cross-dressers, blue body paint, and as usual, League of Legends dominates day 1 of PAX Aus 2014. 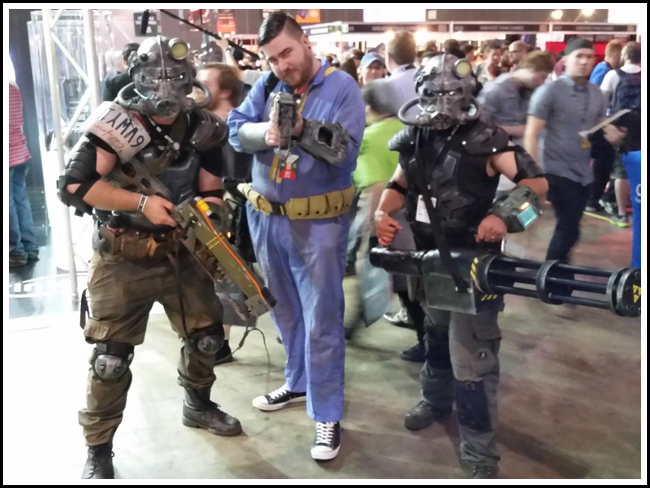 PAX Australia is in full swing down under this weekend. It has quickly become the convention for Australians, with all of the big names in video games, comic books, tabletop and more saving their best stuff for the event. Naturally, it also brings out some of the best cosplay of the country, and I've striven to bring you the best of all three days. Enjoy my highlights from Day 1! These guys actually sell all of the props they are using, and more. If you're interested (and in Australia), check out Wasted Props.